Life, Doctor Who & Combom: Patrick Troughton reruns on BBC Four? 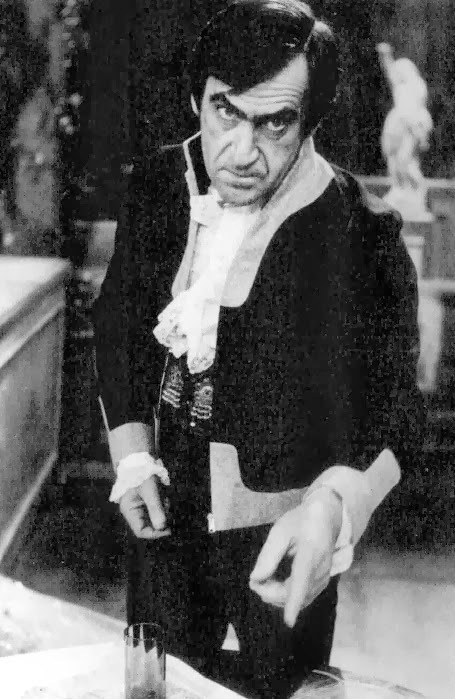 Patrick Troughton reruns on BBC Four? If you haven't yet seen the "Enemy of the World" and "Web of Fear", be of good cheer: the BBC's pondering a re-air on BBC4. As per the Radio Times' queries, "The BBC has confirmed that it has the right to air both The Web of Fear and The Enemy of the World in the UK decades after they were first broadcast. And if they do get aired they will almost certainly be shown on BBC4, senior sources have confirmed." Said sources went on to say "If it does go ahead it would be likely to be some time after the DVD release" - well, that's self-evident. A more interesting line concerns the specifics of the deal with Phillip Morris. "The BBC could not confirm the nature of the deal with Phillip Morris, director of the Television International Enterprises Archive, who found the missing material or whether a TV broadcast would require more money paid to him." Exactly how much money was paid to Morris in the first place would be an interesting factoid. The other question about such a broadcast - how would they handle episode three of Web? Use the Loose Cannon reconstruction? Arrange for Hines and Watling to do a linking segment, like the one Courtney did for the first release of "The Invasion"? Skip it all together? There's the option of animating an episode, but that's liable to be fairly expensive and the company that's done most of them, Planet Five, is now busy with their own television series on Australian television. So there might be a problem there. Unless the third episode showed up, of course. That'd be nice. I thought they had found the complete Web of Fear serials? Wasn't the DVD complete?